This guide is laid out in an easy-to-use form with questions on the right-hand page and answers overleaf. 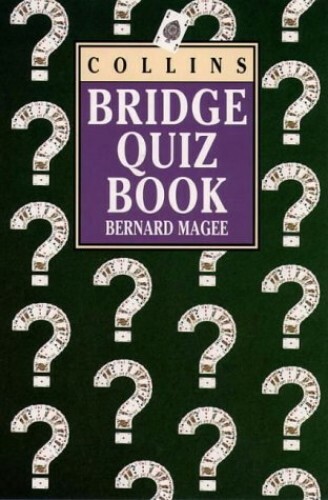 It contains 150 trivia questions and 80 bridge problems. It includes chapters on rubber, duplicate and teams bridge as well as various conventions focusing around the weak and strong no trump. Laid out in an easy-to-use format with questions on the riht hand page and answers on the next page. In all, there are more than 150 trivia questions and 80 full-page bridge problems. With chapters on rubber, duplicate and team bridge as well as a wide scope of conventions focusing around both the weak and strong no trump, there is enough instruction to satisfy players of all standards and preferences. Guaranteed to give hours of fun to any bridge player.